Angelo Spinola | Littler Mendelson P.C. He also works with global employers regarding their U. S. employment law-related needs and cross-border human resources issues. 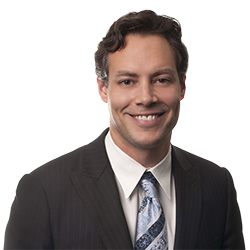 Angelo is a core member of Littler’s Wage & Hour, Healthcare and International Law Practice Groups. Protection of Trade Secrets & Restrictions on Unfair Competition in Georgia Chapter, The Southern Employer, Chapter 4, LexisNexis and Littler Mendelson, chapter author, 2007/2008 Ed. Wage and Hour Answer Book, Aspen Publishers, Inc., contributing author, 2008 Ed. and 2017 Ed. Audio Conference - Institute for Applied Management & Law, Inc.
Healthcare Employers in the Crosshairs: Is Your Organization Wage and Hour Compliant?